Participants will take a guided tour of five architecture offices in Fayetteville, Arkansas. The Tour begins at Maurice Jennings + Walter Jennings Architects located at 619 W. Dickson Street in downtown Fayetteville, AR at 5:30 pm on Thursday evening. Public parking can be found at the corner of Meadow and Church Ave. as indicated on the map. At the end of the tour, all participants are invited to enjoy a discussion between firm owners Marlon Blackwell of Marlon Blackwell Architects, and Chris Baribeau from Modus studio regarding their personal practices and how each firm has evolved since their beginnings. Chris began Modus studio with Josh Sebert after working in Marlon’s office for many years. Maurice Jennings + Walter Jennings Architects uphold the principles of Organic Architecture. These principles include a harmony between the building and its natural surroundings, a close relationship of the individual elements of a building to each other, a generous use of natural light, and the honest expression of materials. They feel that the architect must have a hands-on role in the implementation of a design and that on-site involvement is a necessity. The office’s small size allows a carefully controlled environment for design and project development. deMx Architecture is a young design-oriented architecture firm in Fayetteville, AR. The firm was founded by Tim deNoble, former department head of the Fay Jones School of Architecture, and our managing principal,Tim Maddox, AIA. deMx founded with a belief that vernacular building types are the buildings that we could learn our greatest lessons from. Vernacular buildings, such as barns, sheds, silos, and local houses all exhibit our most essential responses to the environment. The office also draws inspiration from Modernism- dependent on the ideals of material production and assembly. deMx combines these two design approaches, allowing them to pursue sustainable practices rooted in efficiency, appropriate material choices, and contextual response. The UA Community Design Center advances creative development in Arkansas through design, research, and education solutions. 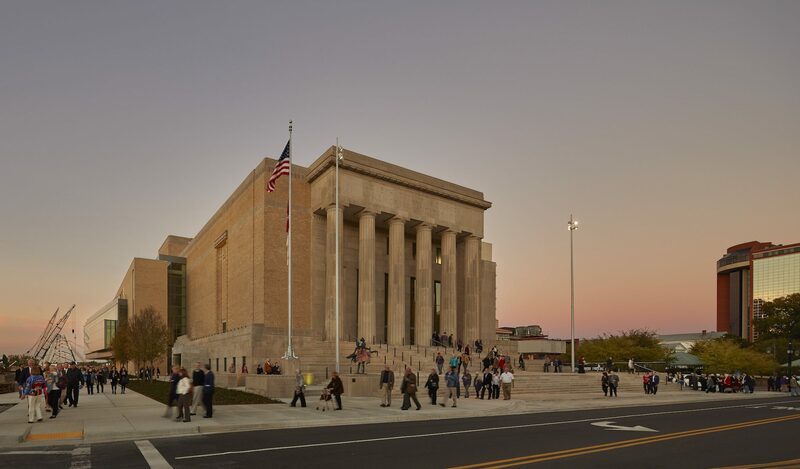 Originated in 1995 as an outreach center of the Fay Jones School of Architecture + Design, the center has its own downtown facilities and a full-time design and planning staff who deliver professional services for communities and organizations nationwide. Much like a teaching hospital, some staff also deliver educationalservices as practicing design professors. UACDC regularly collaborates with allied professionals in multiple disciplines, and the center’s nonprofit status allows it to leverage the work of its private sector collaborators. Under the direction of Stephen Luoni, the center’s director and Steven L. Anderson Chair in Architecture and Urban Studies, UACDC has become a respected national authority in urban design and the shaping of the built environment. Marlon Blackwell Architects has designed for its clients award-winning, environmentally responsive projects. Their belief that architecture can happen anywhere, at any scale, at any budget – for anyone – drives them to challenge the conventions and models that often obscure other possibilities. They use an economy of means to deliver a maximum of meaning in places where architecture is often not expected to be found. As an agile, full service design firm, MBA advocate a participatory, collaborative design process between the client, contractors, and architect, where all voices are heard from conceptualization to the realization of each project. In every instance, they strive to express the richness of the places we work and the ideals of the people and institutions we serve.